There is a growing number of videos and films about the frontier conflicts that occurred in the Australian colonies and after Federation in 1901. The list below, in alphabetical order, is preliminary. Links to other videos and films are added to this page from time to time. Presented by historian Michael Cathcart, Australia on Trial is a thought-provoking three-part series recreating the historic trials that throw light on the Australia of colonial times. These high-profile and controversial court cases raised major issues of national identity at a time when Australia was evolving from the dominion of the British Empire into a more autonomous federated nation in the late 19th century. Each of the cases caused a sensation at the time and attracted enormous public interest. 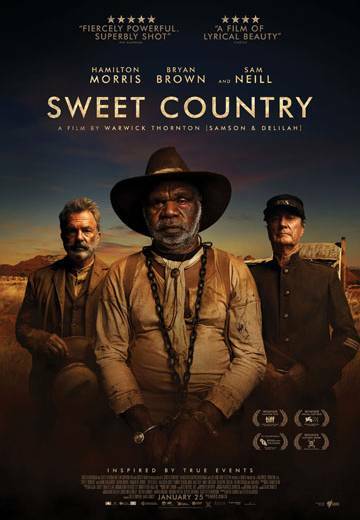 Each triggered social and political debate about subjects at the very heart of Australian society: democracy and justice, the identity and behaviour of Australia’s men, and attitudes towards women and Indigenous people–themes and concerns that are still relevant to modern-day Australia. The trial was fought out as bitterly in the press as it was in the courtroom. But in the end, a white jury sent seven men to the gallows for the murder of tribal Aborigines. A number of books have been written about the Myall Creek Massacre. See the Bibliography on this website for details. The 180th Anniversary of the Myall Creek Massacre will be commemorated at the Myall Creek Massacre Memorial site, Bingara, New South Wales in June 2018. Details are on the News section this website (see the menu at the top of this page) and on the Facebook page connected to this website. Babe in the Reeds: a story of massacres and resilience, Lois Cook and Catherine Marciniak, ABC Open North Coast, 2014. Click on the arrow in the centre of the image below to watch the video. Timothy Bottoms has also written a book, Conspiracy of Silence: Queensland’s frontier killing times, published by Allen & Unwin in 2013. For a list of books and other resources on Australian frontier conflicts, go to Resources in the main menu on the top of this page. Scroll down to the Bibliography, Journal Articles, Maps and Timelines. Ceremony held on the 150th anniversary of the massacres that happened in Yaburara country at Flying Foam, King Bay and Hearsons Cove in 1868. Frontier Wars March Invitation–Anzac Day 2018, Eleanor Gilbert, Enlightning Productions, April 2018. See also Help Bury Our Dead below. Frontier Wars March 2017, Eleanor Gilbert, Enlightning Productions, 25 April 2017. Click on the arrow at the bottom left of the image below to watch this video. More information about the annual Frontier Wars Marches is on the Australian Frontier Wars March page on this website. Ghillar Michael Anderson explains the reasons behind the Frontier Wars Marches and how important it is that all Australians know about and understand the truth of our history. To watch this video, click on the arrow at the bottom left of the image below. You can read more about Jandamarra on the Aboriginal Warriors page on this website.